GALION — As happened over the Labor Day weekend, a tornado ripped through Crawford County and residents received no prior notice via the National Weather Service, nor via tornado sirens nor local media outlets. Although tornado warning sirens are situated all over the county, all remained silent for Sunday night’s storm, as they did during the Labor Day storm, which damaged homes and property from Ohio 19 west of Galion to North Robinson and into Crestline. The worst damage in Galion was in the South Market Street area and the southwest section of the city. Several houses were damaged, as were two buildings at Urban Industries in the city. After city officials voiced concerns about the amount of storm damage, the EMA contacted the National Weather Service. Officials from both agencies were on site today and said the damage was caused by a tornado. They found evidence of bi-directional winds and tornadic activity. They were not yet ready to issue a classification on the strength of the storm. So why no warning sirens? According to Galion officials, the tornado sirens in Crawford County rely on weather notifications from the National Weather Service, as well as a local weather radar and trained storm spotters. All of those factors are used to determine if a siren is warranted. If so, the sirens are activated via the Crawford County Sheriff’s Office. Also, the Crawford County Emergency Management Agency sends out mass notifications through Crawford Alerts and puts emergency messages on local radio stations in order to warn as many residents as possible. 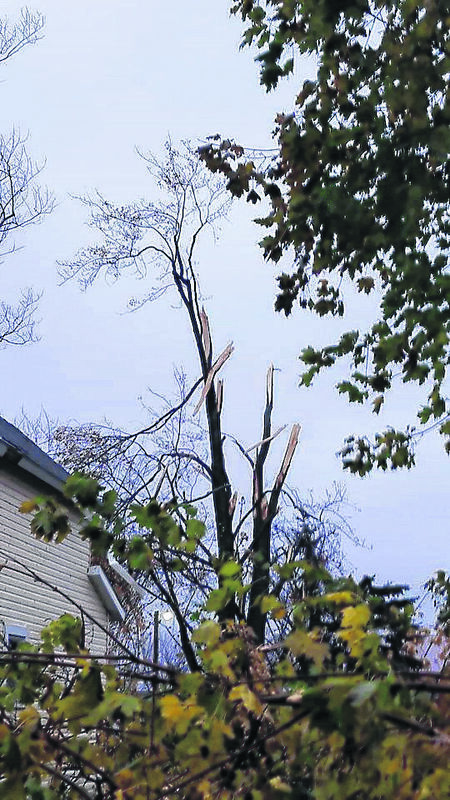 Although a tornado watch had been issued earlier in the day, the damaging wind that swept through Galion built suddenly. The National Weather Service did not issue a tornado warning, and no weather spotters reported severe weather activity, which meant no advance warning from EMA nor the National Weather Service.